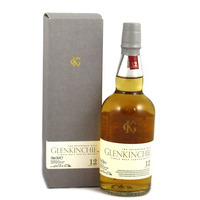 Glenkinchie was originally known as Milton and was founded in 1825 in the outlying farmland around Edinburgh. It was renamed in 1837 and languished in obscurity for over 150 years before becoming an international brand almost overnight at the end of the 1980s. Prior to this time, the distillery’s main claims to fame were as one of the five original Lowland distillers to found Scottish Malt Distillers Ltd (later DCL, later UDV aka Diageo). 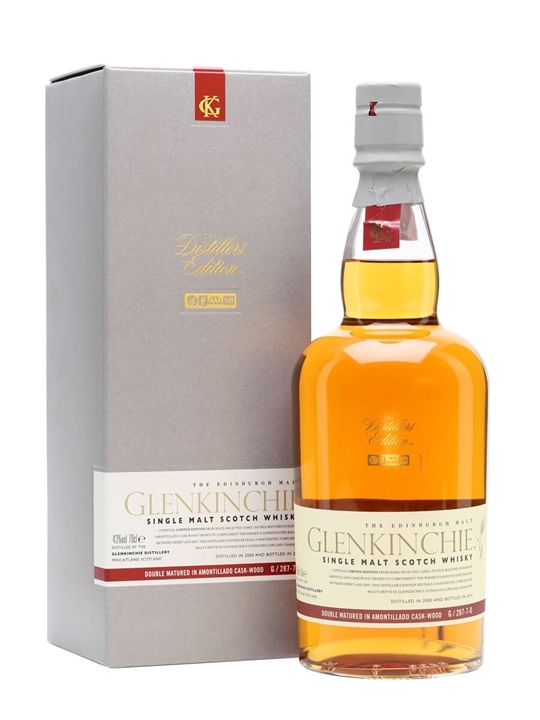 It’s other claim to fame is that Glenkinchie was one of only a handful of distilleries to continue production throughout the Second World War. The majority of its output has always gone to blends, principally Haig’s, Dimple and Dewar’s. Even today only 10% of its 1.6m litres of alcohol per year production is reserved for bottling as single malt. 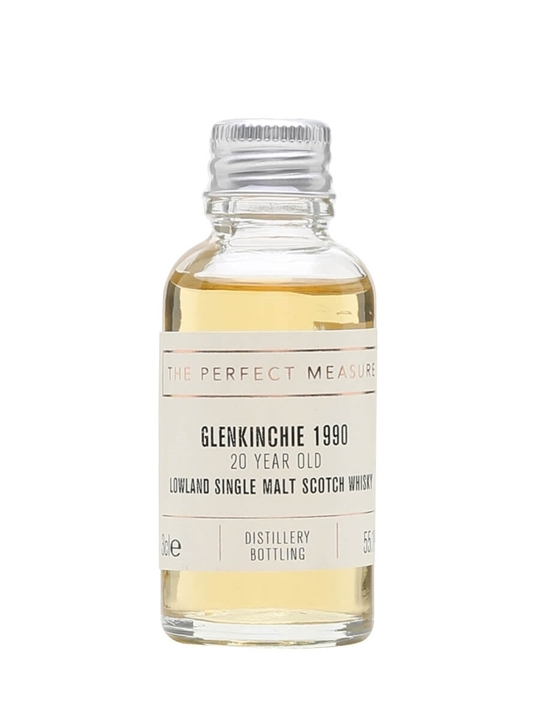 Summary: 3cl / 55.1% / The Perfect Measure – Bottled for Diageo's annual Special Releases, this Glenkinchie was distilled in 1990 and bottled at cask strength. Very spicy with notes of pepper, clove, melon and fig. Summary: 20cl / 43% / Distillery Bottling – A small bottle of the standard expression from Glenkinchie, Diageo's remaining Lowland distillery. 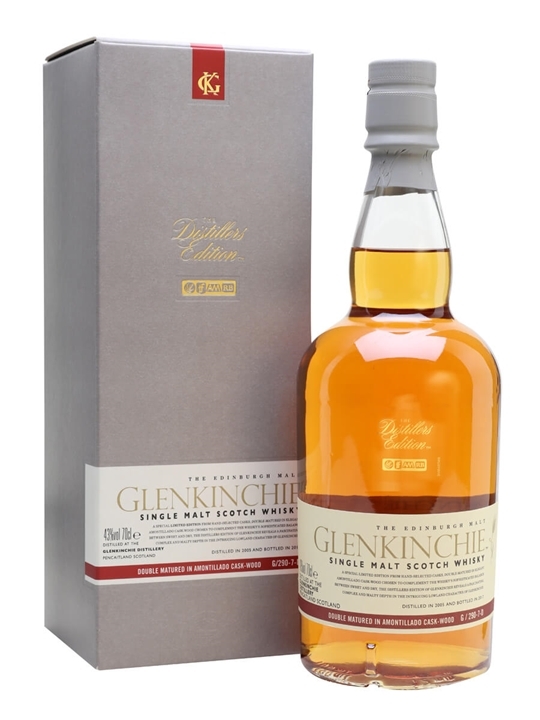 Summary: Glenkinchie, the last of Diageo's Lowland distilleries whose whiksy is always a most approachable dram. Pale gold in appearance.  With a nose of aromatics, vanilla, cut flowers and beneath, a clean, toasty note. Increasingly sweet and creamy, with fresh citrus, lemon cheesecake. The body is light and smooth. 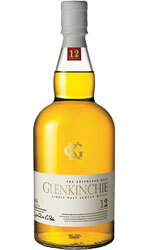 On the palate, Glenkinchie has a sweet, soft start, becoming flowery. A crisp mid-palate then butter-icing, lemon cheesecake and fresias. The finish is herbal and drying- like pot-pourri. 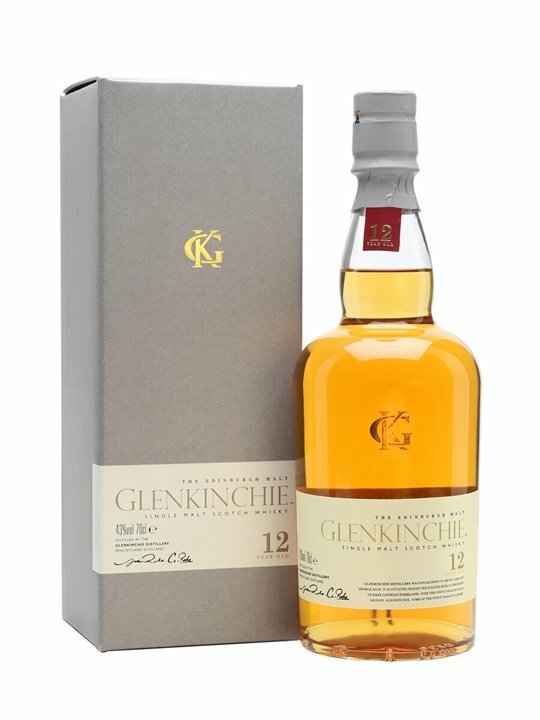 Summary: 70cl / 43% / Distillery Bottling – Replacing the 10 year-old as the main expression of the Lowland style in the Classic Malts range, this Glenkinchie 12yo is a bit fuller and more complex. 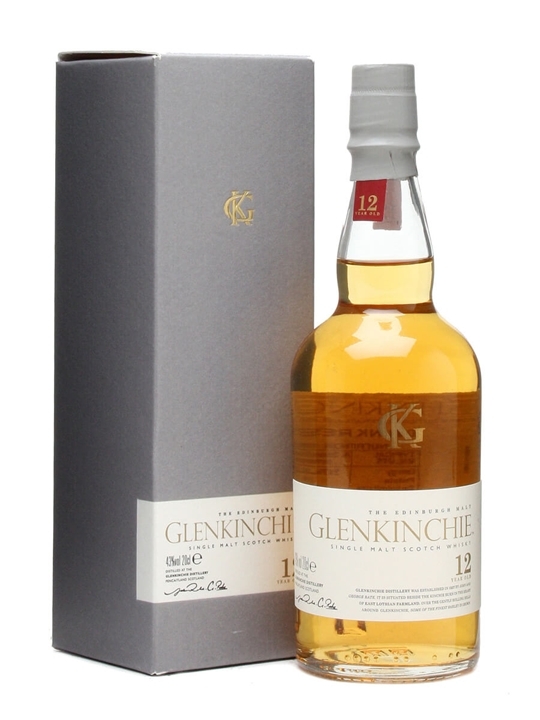 Summary: Glenkinchie 12 Year Old Lowland single malt Scotch whisky. The Edinburgh Malt. 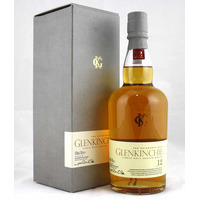 Glenkinchie is a Classic Malt of Scotland. 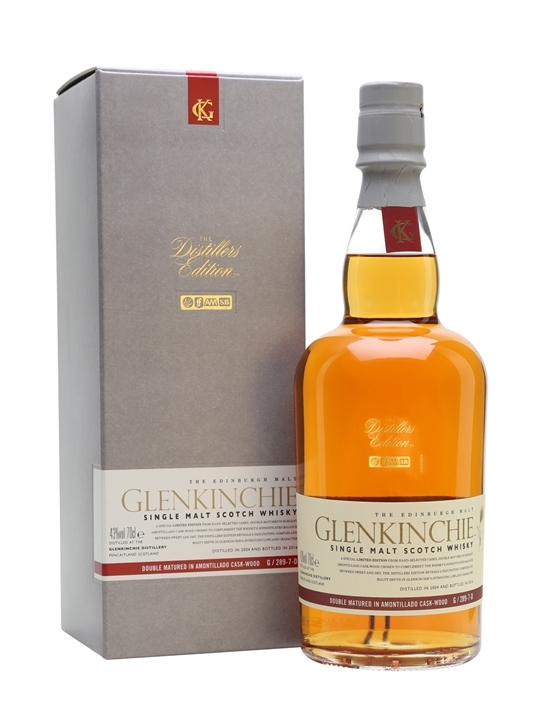 Summary: Glenkinchie 2005 Distillers Edition Lowland single malt Scotch whisky. Double matured in amontillado sherry casks bottled 2017. Summary: 70cl / 43% / Distillery Bottling – This 2003 vintage Distillers Edition from Glenkinchie has been finished in Amontillado sherry casks for an extra burst of rounded flavour. This was aged for more than a decade before being bottled in 2015. 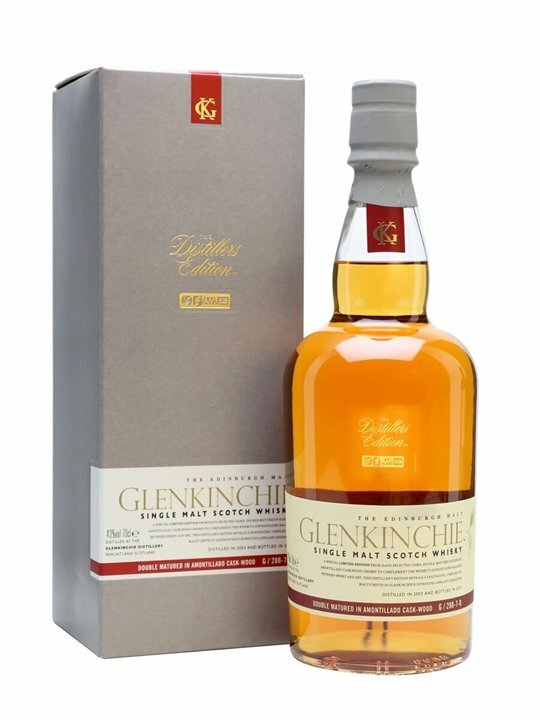 Summary: 70cl / 43% / Distillery Bottling – This 2005 vintage Distillers Edition from Glenkinchie has been finished in amontillado-sherry casks for an extra burst of rounded flavour. This was aged for more than a decade before being bottled in 2017. Summary: 70cl / 43% / Distillery Bottling – This 2000 vintage Distillers Edition from Glenkinchie has been finished in Amontillado sherry casks for an extra burst of rounded flavour. Summary: 70cl / 43% / Distillery Bottling – This 2004 vintage Distillers Edition from Glenkinchie has been finished in amontillado-sherry casks for an extra burst of rounded flavour. This was aged for more than a decade before being bottled in 2016.